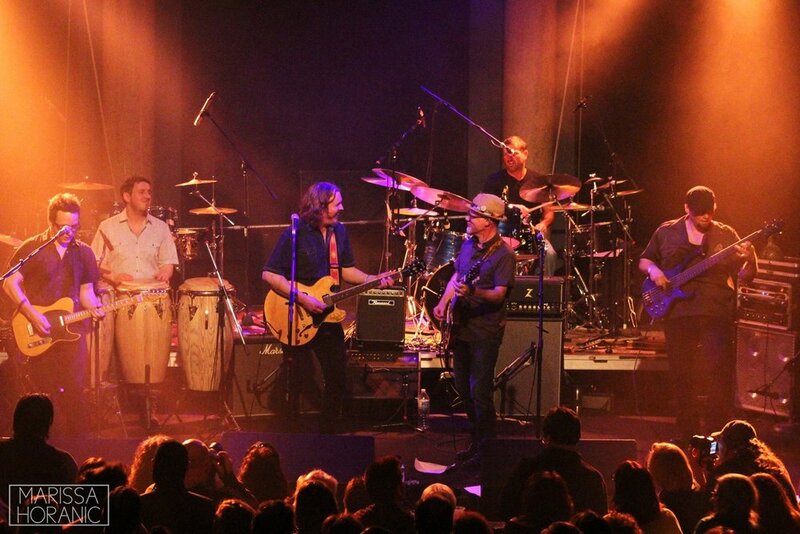 Former Rusted Root founding member Jim Donovan and his band Sun King Warriors to play at the 2017 Summer Rhythm Renewal, Saturday, July 22, 2017. Released early 2016, Donovan’s debut album entitled ‘Sun King Warriors’ gained critical national acclaim and wide non-commercial and AAA radio play. The Washington Times calls it “One of the most eclectic and exciting discs to come out in some time” while Relix magazine says: “Donovan channels unabashed enthusiasm into a series of songs that are both rowdy and rejuvenating”. Sun King Warriors can be best described as a mix of Americana rock, with a strong dose of tribal style drumming. Think Led Zeppelin III & IV mixed with Rusted Root’s “When I Woke” era rhythmic intensity, and the authentic vocal emotion of Mumford & Sons. Donovan’s single “Olalala” garnered radio play at over 100 stations throughout the US and Canada this past summer and charted for several months on Billboard’s Americana chart. The song reached #1 on two stations for multiple weeks, landed at Top 5 on 13 stations and Top 20 on 22 stations. Donovan & he band plans to record the follow up in early 2017 in Pittsburgh.